Description: Here is a unique item. 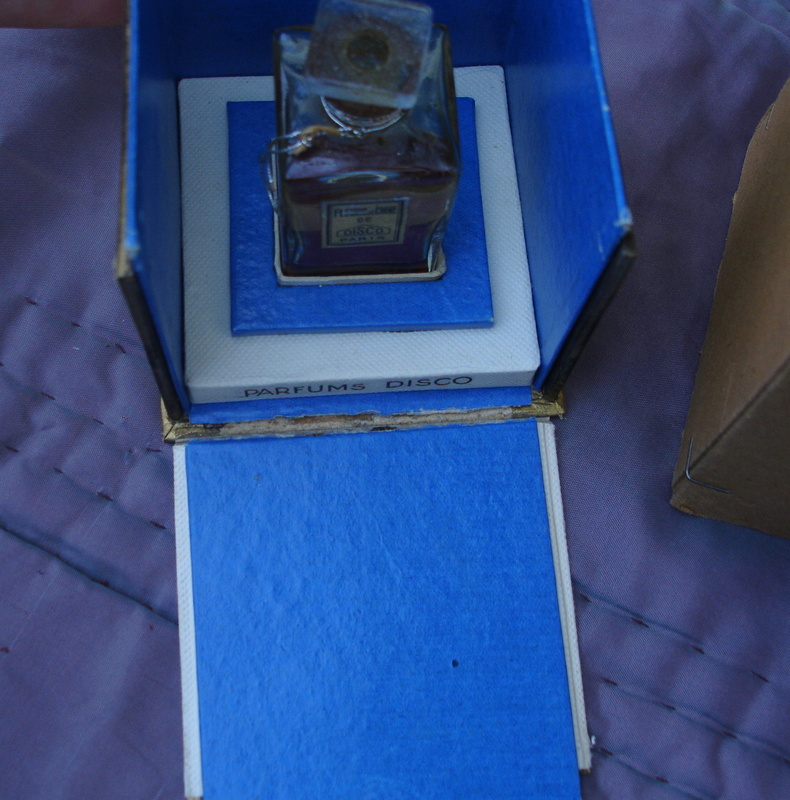 A 1940s perfume presentation of a Paris perfume house that probably closed down during WWII occupation. 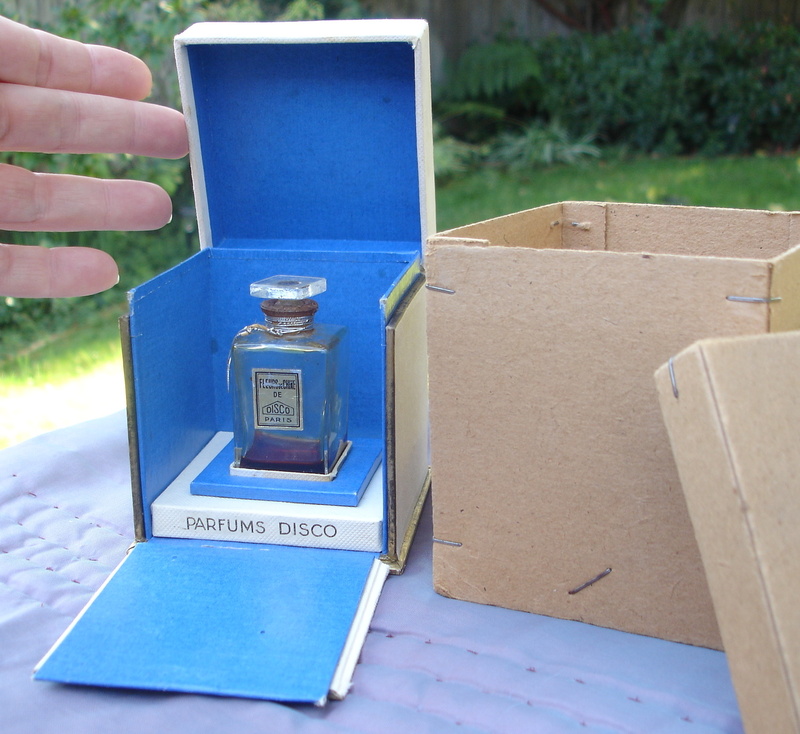 Includes the outer box, presentation box and bottle with original perfume. Stopper is stuck and I have not tried to open it. 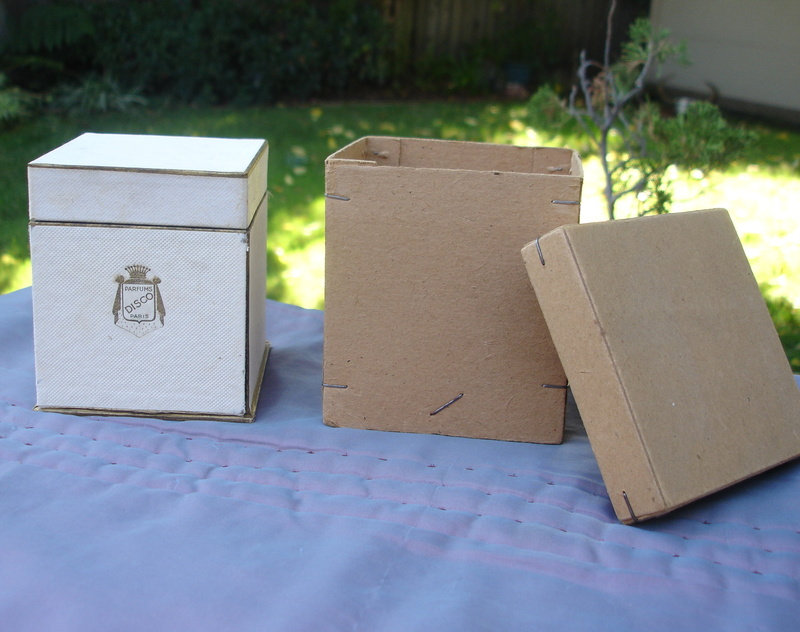 Box is in vintage condition, but is still all intact. Label on bottle is gold over silver foil. 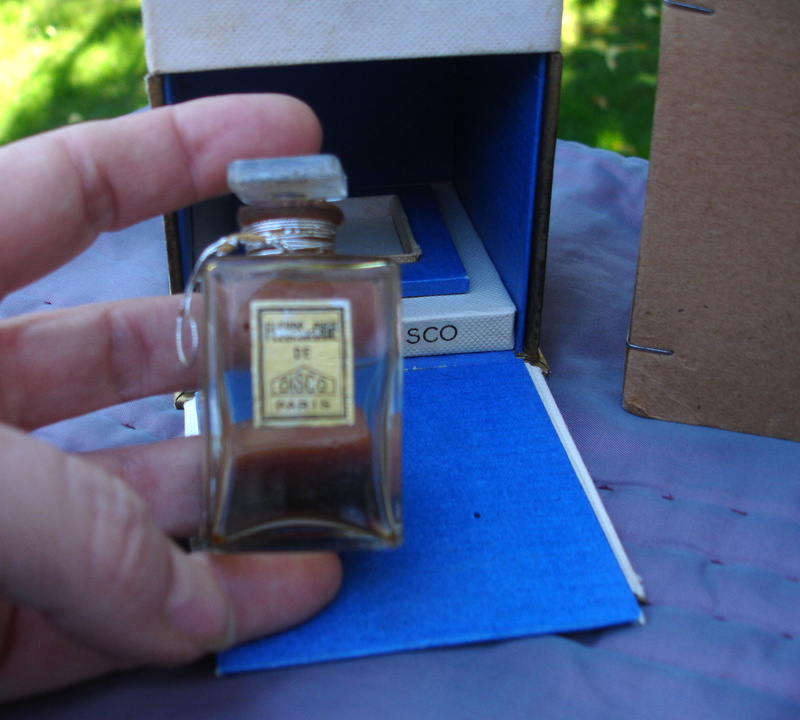 Has about 1/4 of the perfume inside. Looks to be in good condition. Nice item to do research on.